CALL IT A COMEBACK: One of the reasons she's walking away now is so she can ski recreationally. Her knees are " broken beyond repair ," she acknowledged, after numerous surgeries. She's also broken her left ankle (August 2015), suffered fractures in her left knee (February 2016), hyper-extended her right knee (February 2007) and been taken off the mountain by a helicopter twice (once after a training crash before the 2006 Turin Games where she returned two days later to race with a bruised hip and again at the 2013 world championships in Austria where she tore knee ligaments). One of the scarier episodes was a broken right arm in November 2016 after a training wipeout. Right after surgery, she had nerve damage and couldn't move her fingers. She later taped a ski pole to her glove in her return to racing. Soon, she will have knee surgery for the seventh time — to repair the left knee ligament she tore during training in November. 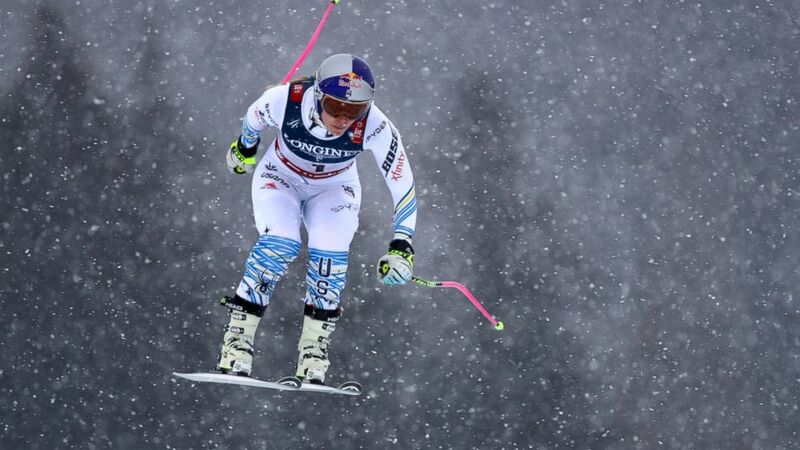 "The image of Lindsey will always be just toughness," U.S. ski team doctor William Sterett said.